In this crazy world of publishing it’s getting harder and harder to know which way to turn. There’s confusion over which road to take or even whether we should stop, take a look around and maybe change direction completely. Yeeeeah, that’s kind of where I’m at. I was dancing on cloud nine. I went on to publish several other books with them. I LOVED them. I learned so much working with their editors. About the publishing world. About my writing. But my books were never put out in print and I never made much money (like take Mr. Nina out for dinner and a movie and baaaarely have enough to pay the babysitter sort of quarterly royalty checks). Since my goals were 1) to make money and 2) have print books you could buy in the bookstore, I hugged and kissed LSB and took my books to a larger publisher. Surely Ellora’s Cave would fulfill my publishing fantasies. I went on to publish 7 more books with them … a couple of them making it to print. Which was cool. Only, an author makes NO money on print books purchased through a publisher. Okay, well money, but something like $0.90 out of the $14.99. Anyway, I digress. I didn’t stay with EC … long, sad story and if you haven’t heard and are curious … google details. I even have this out in print and decided last fall not to do extended distribution, so the print version is actually pretty reasonable. And people who read this story love it. It really is one of my favorite novels that I’ve published. But no matter what I do with it, this book languishes. In the throng of published books it remains mired in the mud where no one is walking. When I look at my sales numbers across the board … I see monthly royalties that won’t even buy me a grande salted caramel mocha latte at Starbucks. And that’s just sad. So this week I’m putting it into Kindle Unlimited, which means it can be purchased solely through Amazon. I HATE doing this. I hate supporting Amazon’s take-over of the publishing world. But they make it hard to resist the program. In this program I can run Amazon-only advertisements. These ads not only run on their website, but potentially, (if you meet their criteria), directly on people’s kindles. Now personally, this cover wouldn’t even make me stop to check out the blurb. But no surprise, Amazon not only deemed it appropriate for their website, the ad has been approved to be shown on kindles. I won’t know for a few more days if it will sell books, but I’m giving it a try. I’m not going to pretend that the whole thing doesn’t make me feel a little dirty and a whole LOT of guilty! Self-published authors everywhere are feeling the effects of the Amazon push. Many are crying out to avoid this trap of selling exclusively with Amazon for fear the publisher will corner the market by closing down other retailers and then authors will be SOL when it comes to where to self-publish. In this scenario, it’s conceivable Amazon will lower it’s royalty cut to authors, because … they can do whatever the hell they want … they’re the only game in town. But, but, but … We all stutter. We have bills to pay and my books aren’t selling at other retailers. I don’t know what the answer is. I looked back at the beginning of my self-publishing journey (check out this post) and nearly choked on my double-fudge brownie (hey, a gal’s got to enjoy something sweet with her Starbucks). I was making some serious bank! Those same royalties today are hovering near $100/month at Amazon and I have TEN books listed! Anyway, I’ll let you know if that sad looking cover (that was so obviously made on the cheap) gets me any sales. 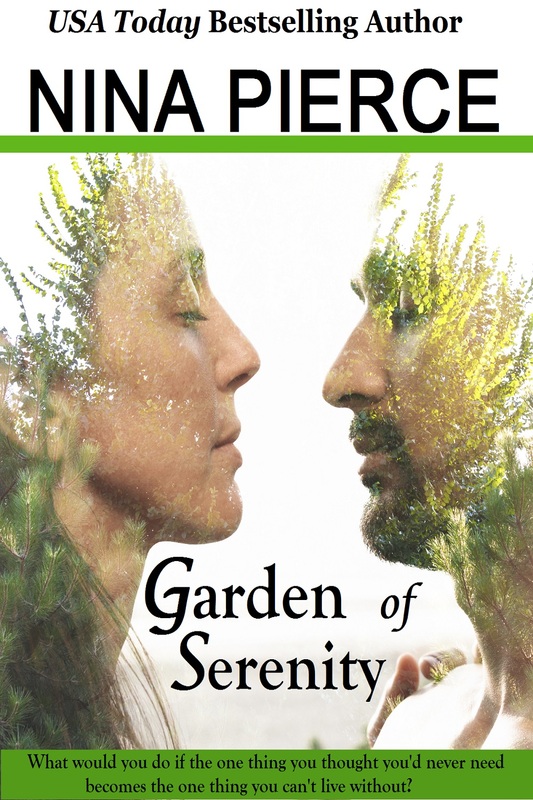 Here’s hoping readers find “Garden of Serenity” it’s a hell of a story.